This afternoon we had a beautiful visit in our backyard, a Cottontail Rabbit, he was eating the branches of a tree just in front of my house. After awhile he went to another tree in the backyard of our neighbor. I decided to give it a try and got my camera out, he let me come very close to him and i was able to take several shots, he stayed under that tree all afternoon. To get that view i didn’t use my tripod, i put my camera directly on the snow, the thin crust was enough too support it and get a solid platform for my camera. Canon 7D with 400mm/5.6 L at f/6.3, handheld. This entry was posted on February 9, 2015 by Steeve Marcoux. 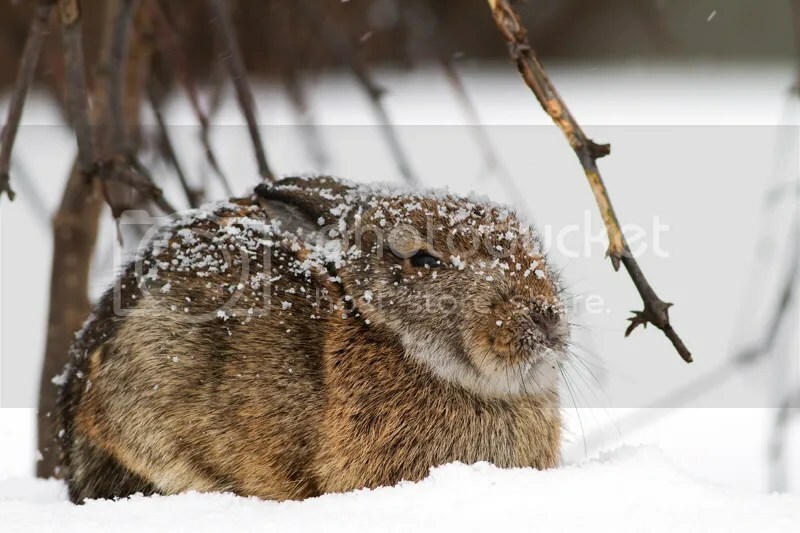 It was filed under Weekly photo and was tagged with canon 7d, cottontail rabbit, rabbit, snow, tree.